RP's Vertical Turbine Generators are actually reverse running pumps. When the flow that runs through the pump is reversed, the impeller starts turning in the other direction and the pump operates as a turbine. The motor that drives the pump can work also as a generator; when it's working as a turbine, it collects the mechanical energy and transforms it into electricity. The VTG is particularly suited to where the head and flow are consistent, and its main purpose is to fill small hydroelectric needs. The VTG is available for Cryogenic Closed Systems applications. 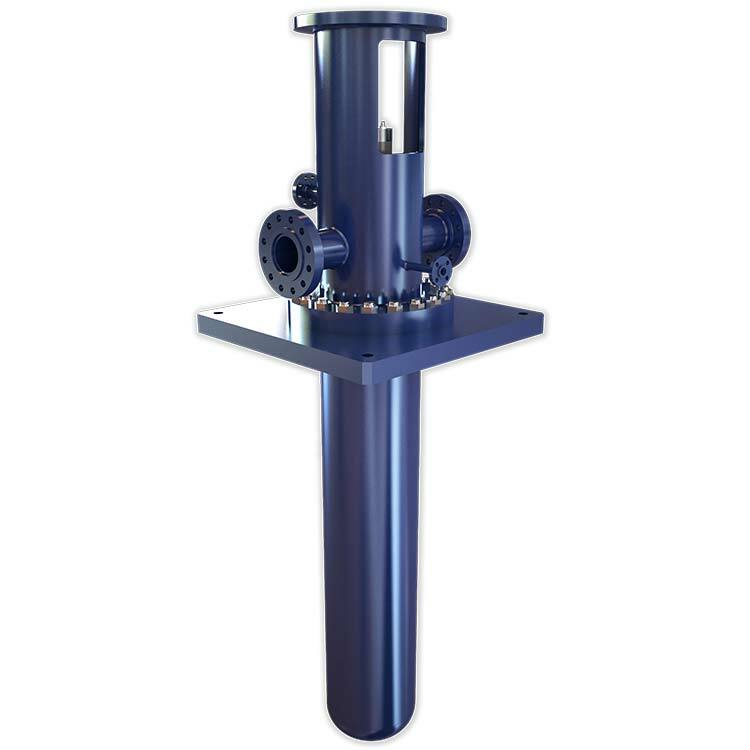 Multi stage vertical centrifugal pump. Enclosed and open impeller available. Different types of turbines for different operation conditions. Pump or turbine usage applications. Available for sump or closed system applications. Note: Depending on materials and size of the turbine; higher pressures or head are possible, please contact Ruhrpumpen.